You’re looking forward to your pre-wedding photography. There are two options to choose from – the great outdoors or the indoors. 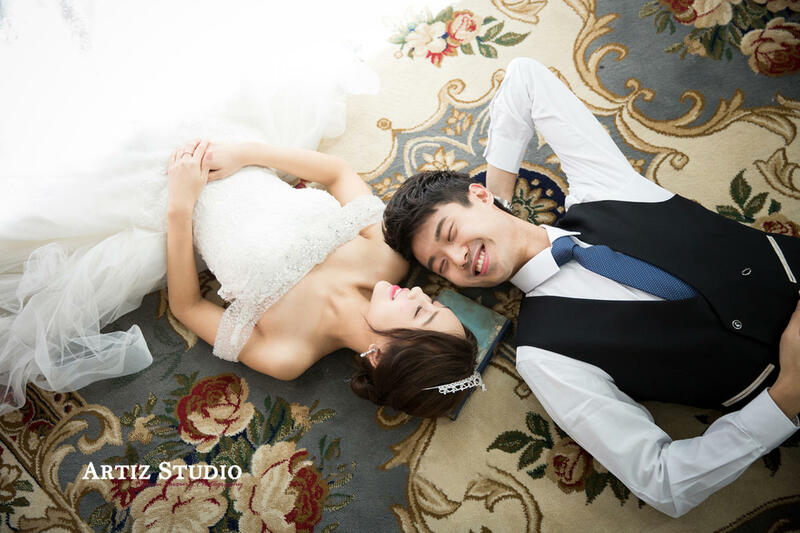 Whilst outdoor is very popular, some couple is opting for indoor wedding photography at made-up studio sceneries, and for good reasons. 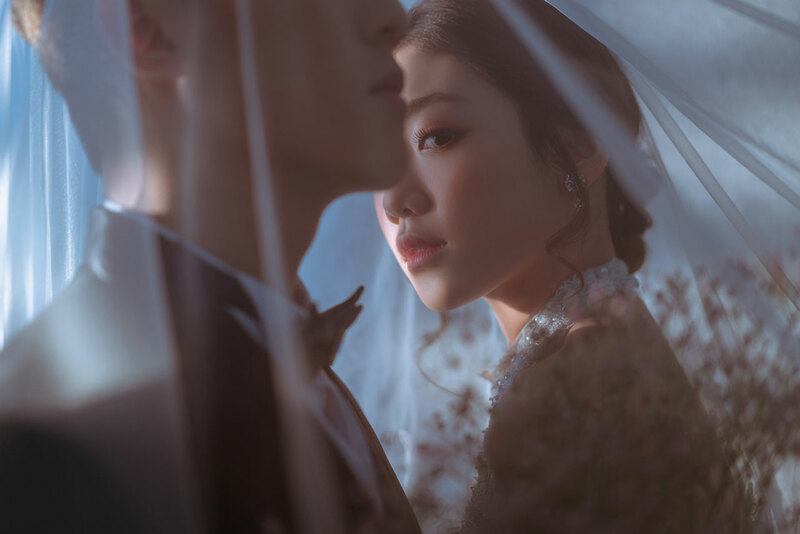 Korea Artiz Studio explains that the popularity of indoor pre-wedding photography has rapidly picked up globally, especially in South Korea.”Outdoor shooting is easily affected by unpredictable circumstances, such as bad weather, traffic jams, passengers, light and other factors,” it adds. An outdoor setting may be ruined by rain, be it the muddy terrain that you’ll need to trudge through in your pretty clothes, or the sweltering heat that may not be too good for your make-up. 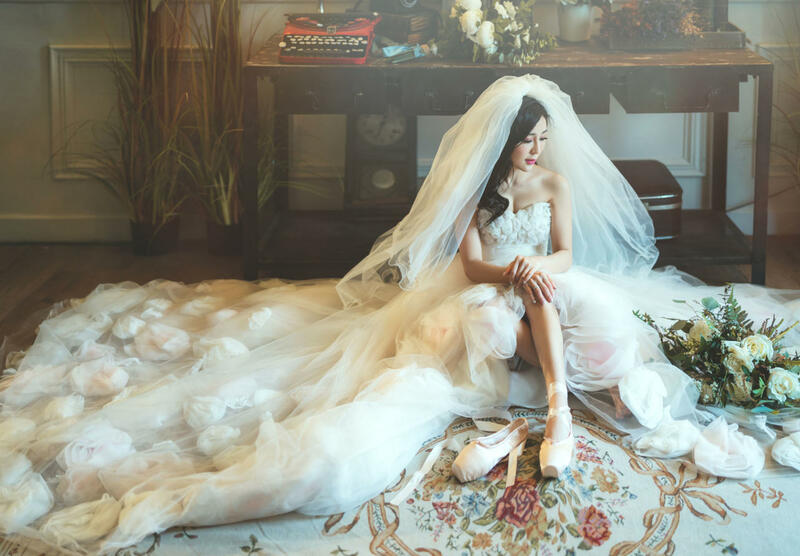 “When you’re indoors, you don’t need to worry about the vagaries of Mother Nature,” says Vincent Lim from Marry Me Bridal Gallery. When you’re indoors, controlling the environment becomes a tad bit easier. At a studio, heating and cooling facilities are also available to set a pleasurable setting for a beautiful photo shoot. This sentiment is agreed with Malaysia’s popular bridal photography studio Keep Gallery and My Dream Wedding, which both have recently established a brand new studio and invested heavily into studio sceneries and state-of-the-art lightings, just as the ever popular outdoor destination photography is still very much ‘the in-thing to do’ with the engaged-to-be-married couple. 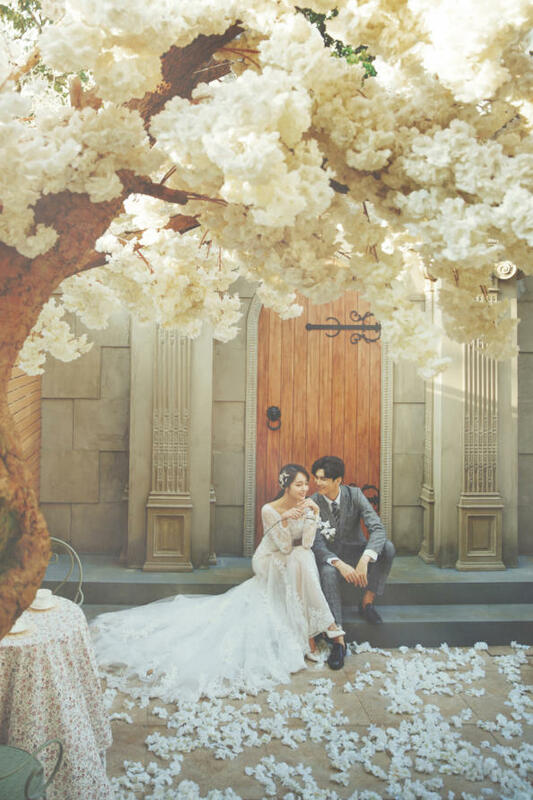 In addition, it adds, outdoor shooting presents a more casual setting and the venues are available to everyone. “However, indoor shooting makes it undoubtedly unique,” Korea Artiz adds. It’s a given, if you’re outdoors, you will need to wait for the opportune time when there are no more people in a scene. On the indoors, within a studio, you have control over who is present to share your special pre-wedding photography moments. 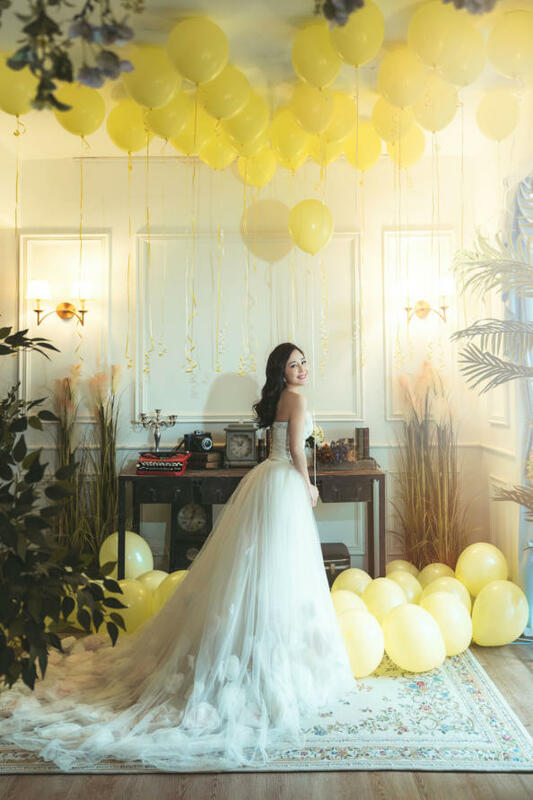 In sharing a tip on photo shoots or wedding photography, Lim advised couples to visit the bridal boutique before signing on the wedding packages. 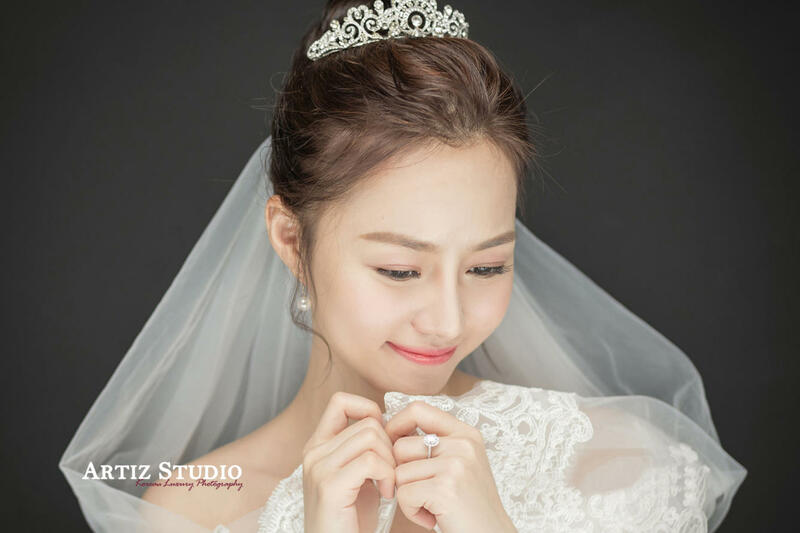 “Also make sure that the photos are from the bridal shop itself and are not photos that were not reproduced from other photographers outside of their studio.